Where can I get Stylage M with Lidocaine? 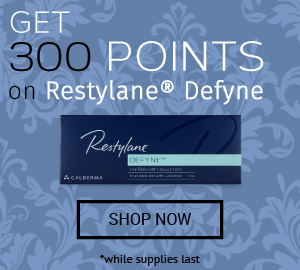 Stylage M with Lidocaine is an effective cosmetic injectable used to fill in fine lines and wrinkles with lip enhancement abilities and is conveniently available for purchase from DoctorMedica.com. You can easily place orders online, by phone, fax, or email. We only offer authentic, brand name orthopedic injectables, aesthetic injectables, and ophthalmic solutions at DoctorMedica.com. Simply sign up for an account and you can begin ordering. If you were referred by a colleague, call one of our friendly customer service representatives for more information about our referral program. 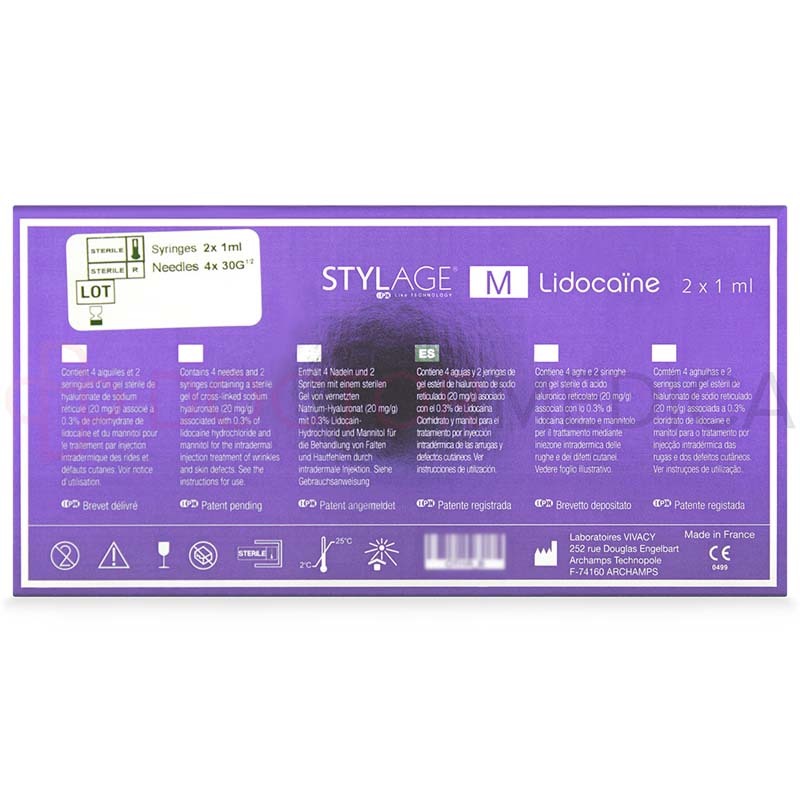 What does Stylage M with Lidocaine come with? 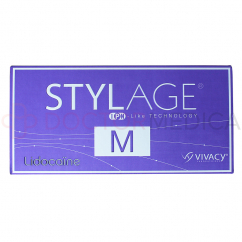 Stylage M with Lidocaine comes with 2 prefilled syringes containing 1ml of injectable solution each. It also comes with 4-30G½” needles and a package insert with detailed use instructions and other valuable information to review before use. A set of traceability labels is also provided. What are the benefits of Stylage M with Lidocaine? As a filler and reshaping tool, this treatment can be used for a number of cosmetic applications for your patients to enjoy. For example, Stylage M with Lidocaine is a useful anti-ageing treatment that can fill in deep wrinkles and facial folds/lines and add definition to the contours of the face. More specifically, Stylage M with Lidocaine treats skin imperfections like nasolabial folds, crow’s feet, and glabellar frown lines. 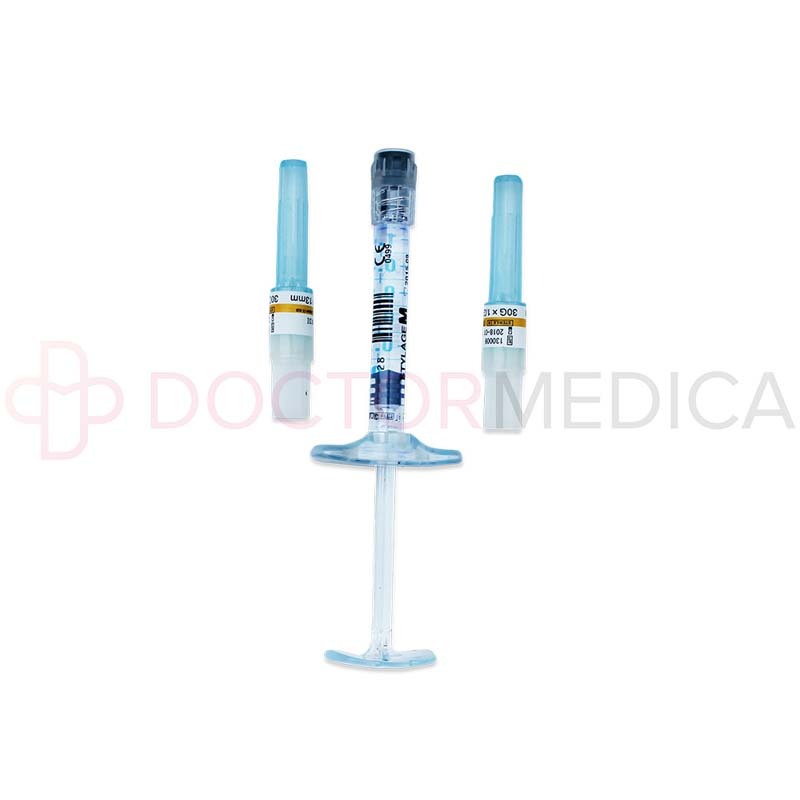 Additionally, this particular cosmetic filler contains Lidocaine, which will reduce the pain and discomfort for the patient during the injection procedure. 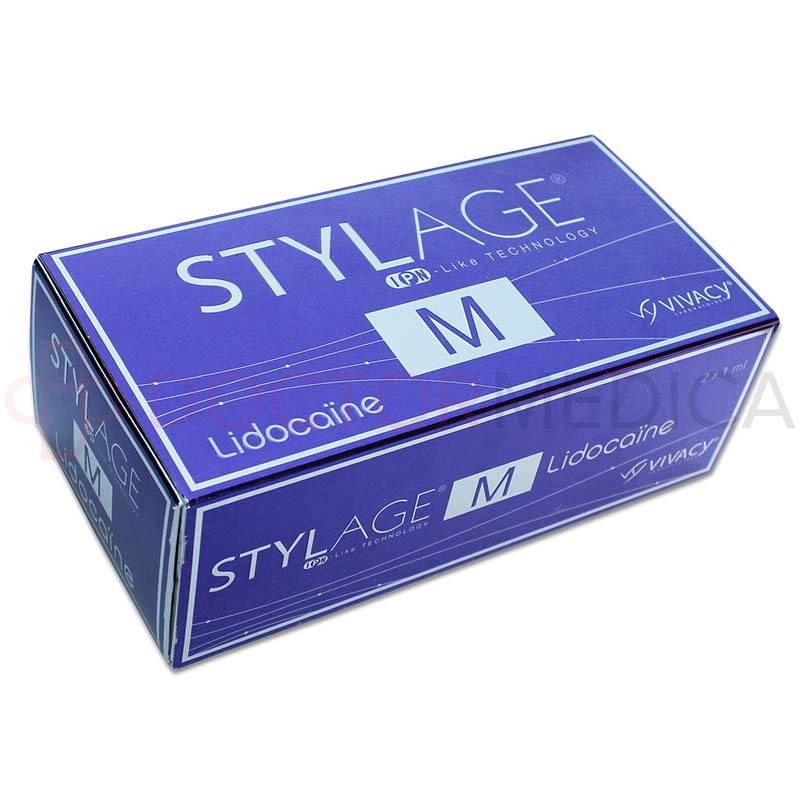 What is Stylage M with Lidocaine made of? Stylage M with Lidocaine is made up of sodium hyaluronic acid, lidocaine hydrochloride, phosphate buffer pH 7.2, and mannitol. Stylage M with Lidocaine restores the skin by replenishing the body’s reduced store of hyaluronic acid, which hydrates the skin and adds volume to fill in wrinkles. Stylage M with Lidocaine’s mannitol helps protect the skin from the adverse effects of free radicals and makes the product highly resilient and long-lasting when implanted. How do I use Stylage M with Lidocaine? Before injecting the area of treatment, carefully disinfecting the targeted area in accordance with aseptic standards. When that is complete, use the sterile needed provided and inject Stylage M with Lidocaine into the middle dermis of the area of correction, which can include visibly present wrinkles or other cutaneous defects. Your patients should notice an immediate volume enhancement after the procedure. Depending on the area of the injection and the desired results, a Stylage M with Lidocaine treatment can usually take up to 30 minutes to complete. Stylage M with Lidocaine can be used for aging patients who want to correct deep lines, wrinkles, and facial folds so as to appear younger. What areas can I use Stylage M with Lidocaine on? Stylage M with Lidocaine can be used on the facial area, including nasolabial folds, the cheeks, chin, and the temples. This filler can also be used to for reshaping the earlobes and lifting the nasal tip. Before use, however, conduct a thorough facial assessment to develop a treatment plan for each patient’s individual needs. A single Stylage M with Lidocaine treatment can approximately last up to 12 months for most patients. If your patients wish to maintain the results, recommend additional treatments. Why should I use Stylage M with Lidocaine? You should use Stylage M with Lidocaine because it can, as shown above, correct a number of skin imperfections. Additionally, this treatment is a long-lasting solution that undergoes biodegradation in the skin at a much slower rate than other injectables. Who is Stylage M with Lidocaine intended for? Stylage M with Lidocaine is intended for patients who want to revitalize the skin and reduce the presence of deep wrinkles, saggy skin, and undefined lips for a significant period of time. In addition to this group, the addition of lidocaine makes this cosmetic filler ideal for patients with a low pain tolerance, as it provides an anesthetic to ensure a less painful procedure. Like most dermal fillers, mild side effects can potentially occur following the procedure. Some of these potential side effects include pain, itching, tenderness, and swelling at the site of the injection. However, these side effects are common and typically short-lived, with most only lasting a few days. Plus, the lidocaine present in this cosmetic filler should make the injection easier to bear for the patient in terms of pain and discomfort. A full list of side effects, precautions, and important contraindications are available on the filler’s package insert.